THE GHANA Black Stars have been placed in the same group with the indomitable lions of Cameroon. Both teams are in Group F where Benin and Guinea-Bissau also find themselves. Cameroon is the reining champion and seems to be the only harder side for the Black Stars in the Group. 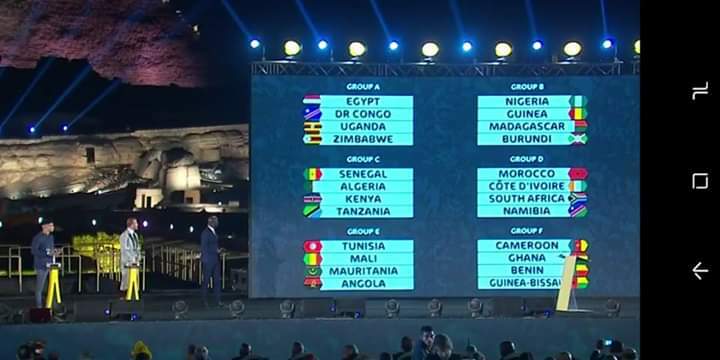 Host Egypt finds itself in Group A with Uganda, DR Congo and Zimbabwe. Nigeria, Madagascar, Guinea and Burundi sit in Group B, while Senegal, Algeria, Kenya, and Tanzania are placed in Group C.
Morocco, South Africa, Cote d’ Ivoire and Namibia make up Group D, while Tunisia, Mali, Angola and Mauritania are in Group E.
The tournament is scheduled for June 2019.